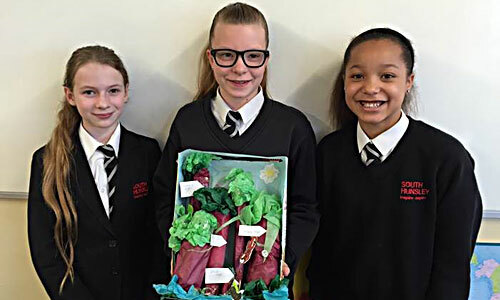 Some students in Year 7 have been challenged to create a model rainforest using only a cereal box and some tissue paper. Megan Teale, Chloe Sikala and Sapphire Whitham who are in 7.09, Vela House, were selected as the winners this week and have each received 5 house points. Well done to all students who took part, there were some excellent ideas and very creative models made.